MKI List Print Tee White | END. 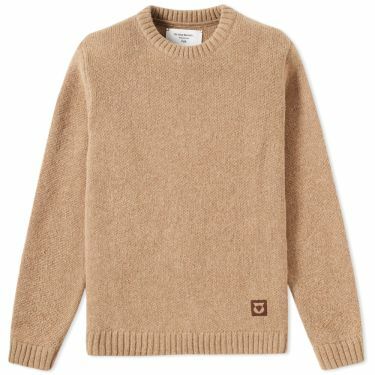 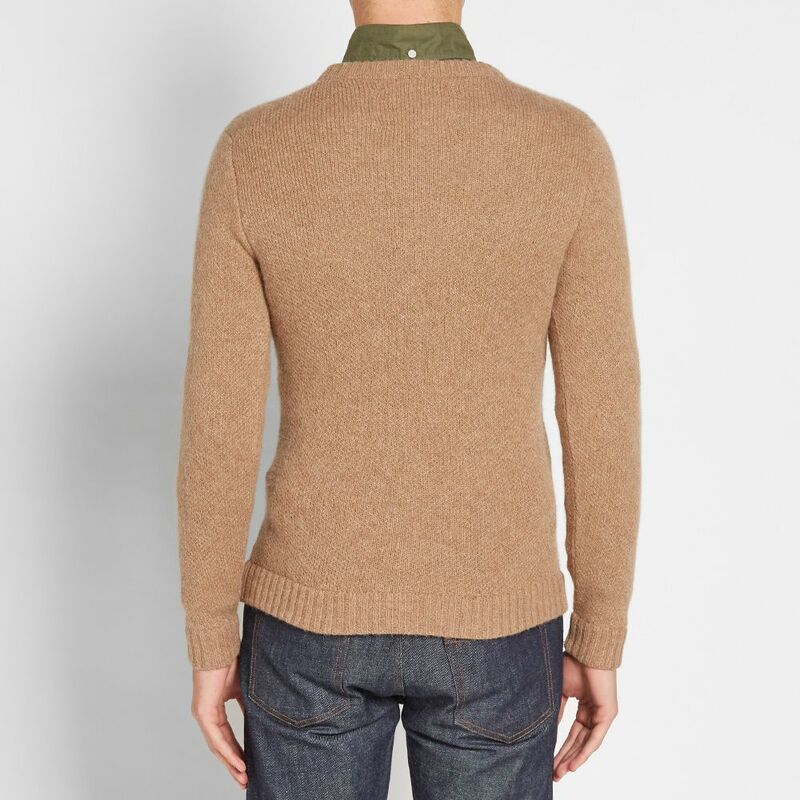 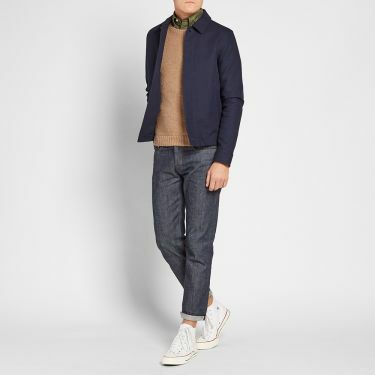 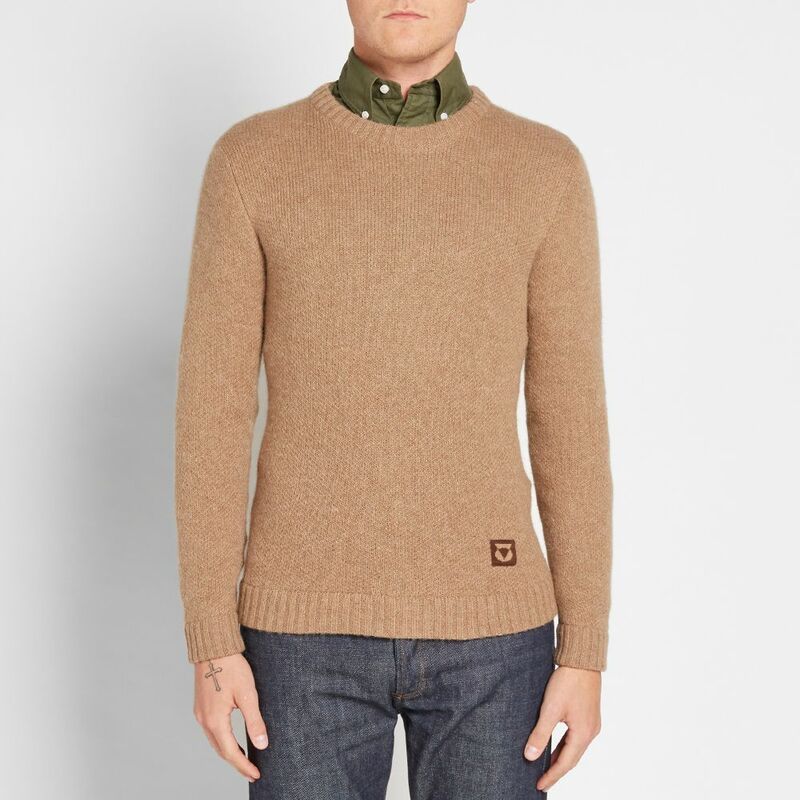 Designed exclusively for Folk, the Inoue Brothers team up with the stylish London-based label for an all-natural alpaca wool collection. 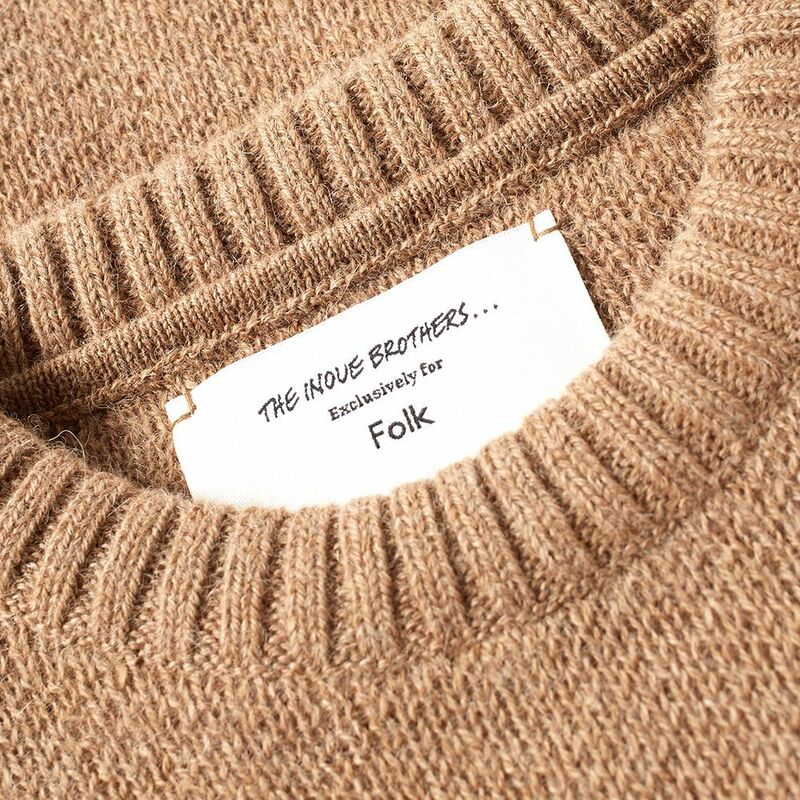 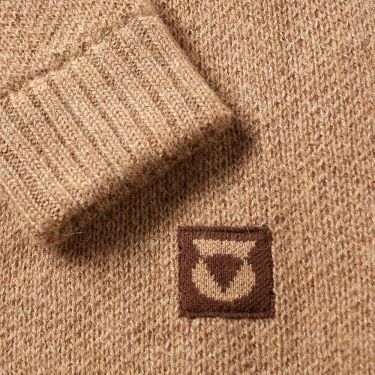 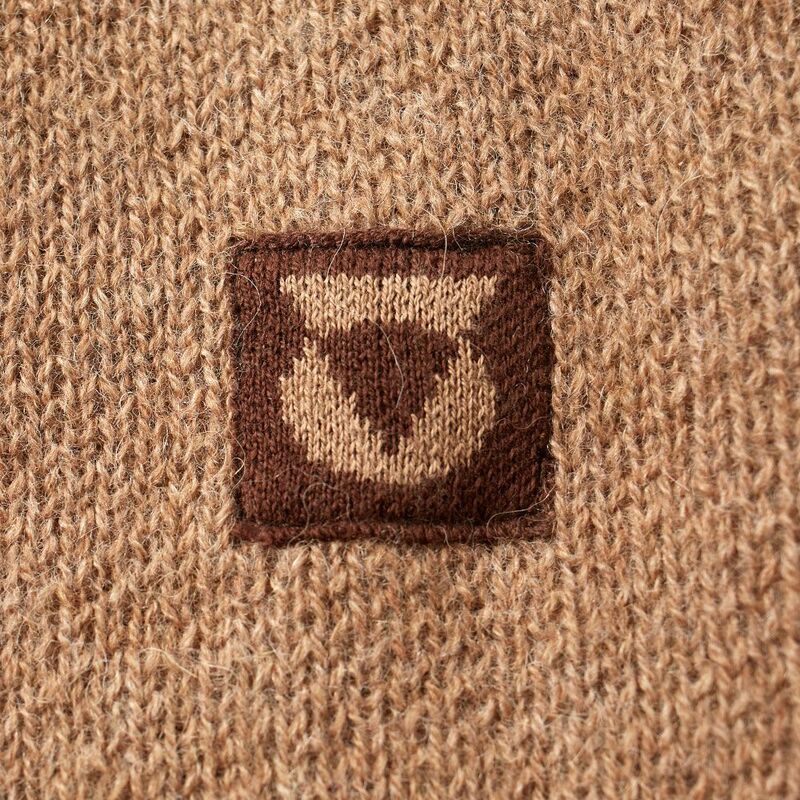 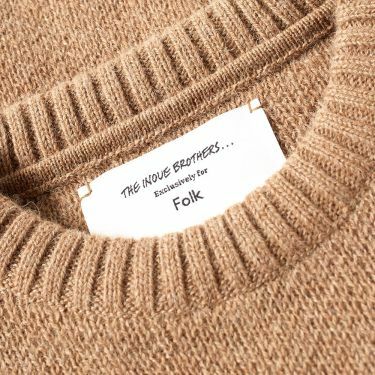 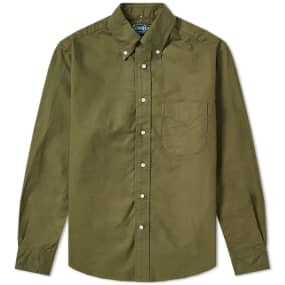 Using non-dyed yarn, the pure beige and brown colourways have produced a milestone in the wool market by using the actual colours of the animals rather than blending various tones in a melange effect. 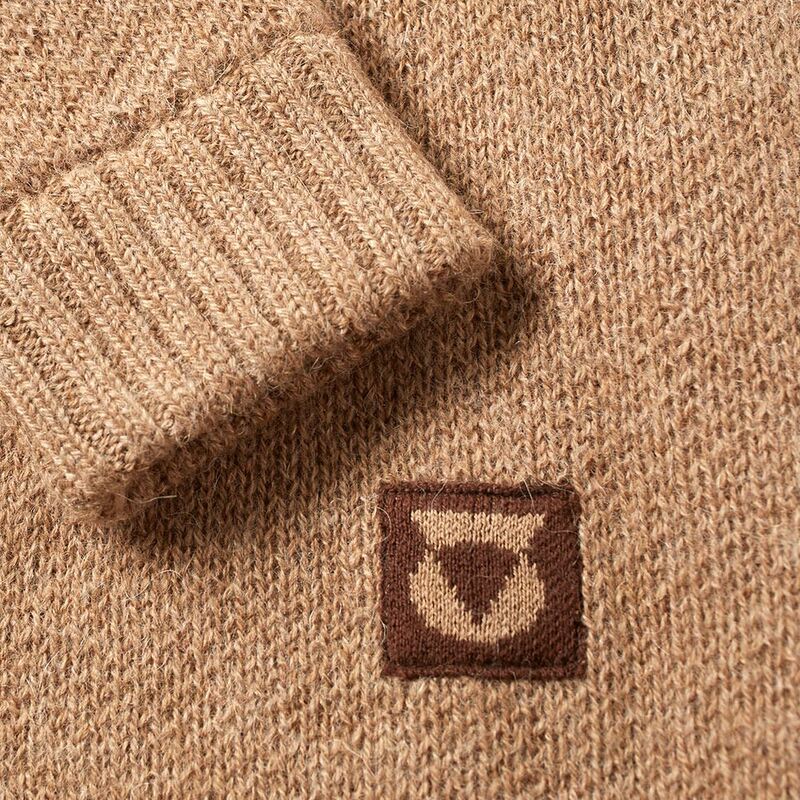 This luxurious piece of knitwear lets the quality do the talking with Folk’s iconographic branding providing the only motif at the lower hem.